Gil Hibben – Tournament Throwing Knives, 3 Pc. Set – Black Edition 8.5 In. 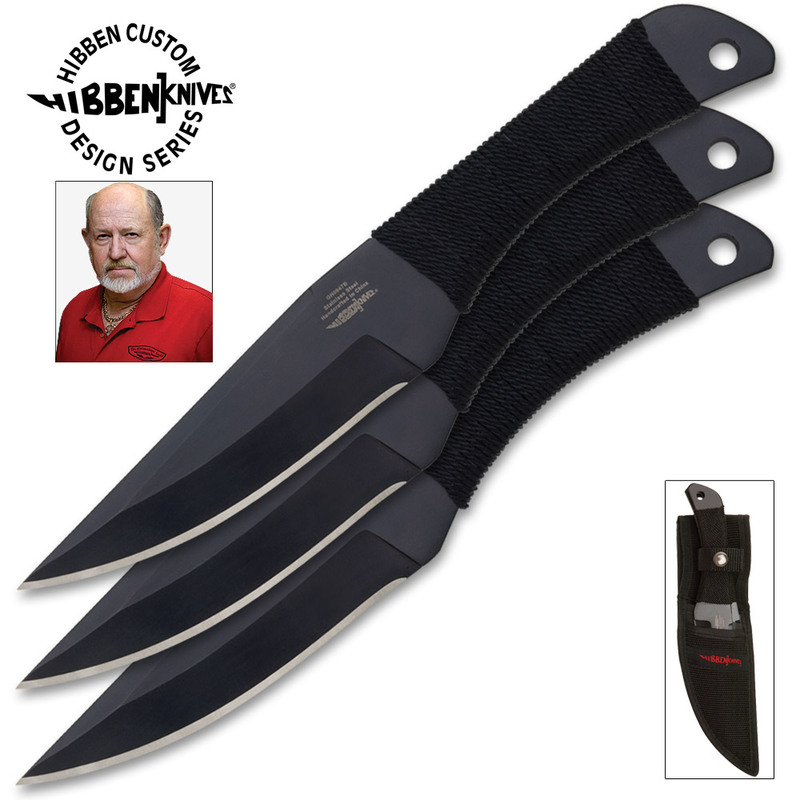 Dominate your next tournament or your backyard knife-throwing session with these designer throwing knives designed by Gil Hibben. This is the all black version of the popular Hibben professional tournament throwers. 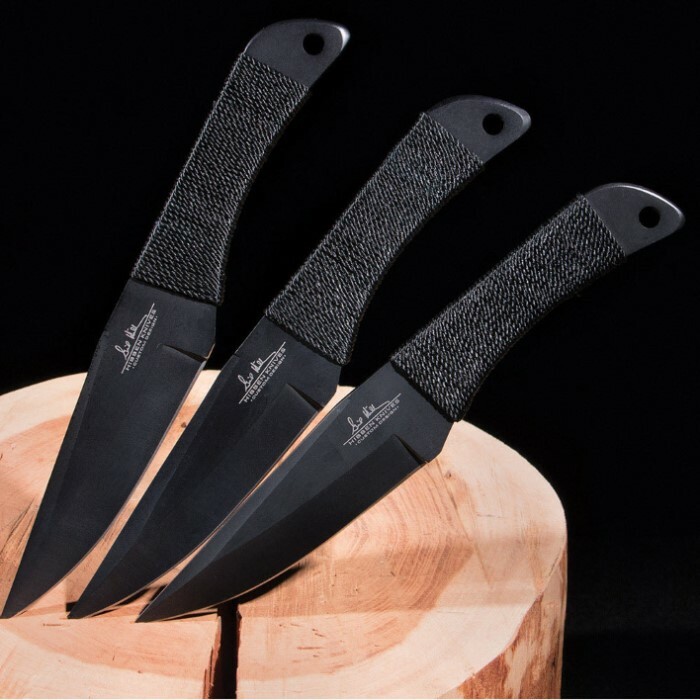 Each of these 8.5" throwing knives has a sharp edge and a piercing point for deep target penetration. The handles are wrapped in cord for a quality grip to help ensure accuracy with each release. The open-hole pommel design also contributes to a professionally balanced weight proportion for increased accuracy as well. Includes Hibben sheath.